Casino Action made its grand debut in the internet gambling world 3 years ago in 2009. This makes this casino one of the late online casino entrants in the industry. Despite being a new casino, the fact that it belongs to Casino Rewards and that it is powered by the biggest software developers out there, Microgaming, sky-rocketed the casino to success. In such short time it managed to build quite a reputation and a wide base of internationals players. 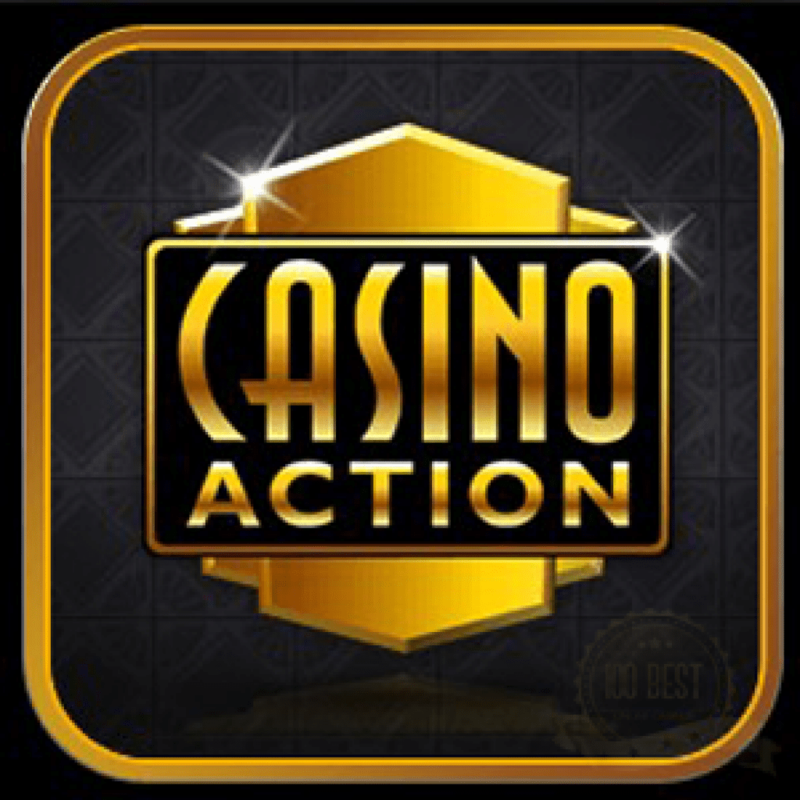 Casino Action has the best of gaming actions with several tons of promotions and events going on all the time. The rewards out here are simply awesome and ensure that you get great value for every dollar that you spend out here. The popularity of the casino speaks for itself. Get in on the action at Casino Action and claim €£$1250 for yourself through the welcome bonus. The casino is licensed and regulated by the gambling and lottery authorities of Malta and it is regularly audited by an independent organization, the eCOGRA. eCOGRA is one of the strictest auditors in the business and for the casino to be able to acquire its approval means that the casino abides by all of the international and the eCOGRA standards and guidelines. This stylish internet casino offers players a fantastic gambling journey. This journey includes an amazing gaming content (Java & Flash), a 24/7 client support service and a handful of promotional bonuses and welcome packages. All of this is offered in a secure environment as everything is safeguarded by state of the art encryption systems and firewalls. The casino also provides players with various payment options that allow them to manage their withdrawals and deposits smoothly. Casino Action takes pride in its huge gaming library that is home to more than three-hundred and fifty games. All of these games have the power of Microgaming behind them which means that all of the games are visually entertaining and rewarding. The gaming suite is diverse as there are slot machine, misc games, card games, video poker, and table games. Starting with slots that are the most commonly played games at online casinos. There are many slots on offer at Casino Action. These offerings include 3 reel slots, video slots AWP, multi spin slots and progressive slots. The collection includes Twisted Circus, Phantom Cash, Leagues of Fortune, House of Dragons, Hearts and Tarts, Gold Factory and Heavy Metal among others. As for progressive slots, there are Cash Splash, Mega Moolah, WOWPot, and Jackpot Deuces. Roulette is the main table game on offer at Casino Action as it is offered in different versions. There is the multi spin wheel roulette, Spanish Roulette, European Roulette, Premiere Roulette Diamond Edition and American Roulette. There are other table games on offer at the casino such as Baccarat, Sic Bo and Craps. Like roulette is the main table game, Blackjack is the main card game on offer. The different versions of Blackjack on offer at the casino include European Blackjack, Spanish Blackjack, High Limit Pot Blackjack, Atlantic City multi Hand blackjack, and classic Blackjack. Other card games on offer include three Card Poker, Pai Gow Poker, Red Dog and Cyberstud Poker. Casino Action offers players a myriad of real money bonuses and promotions, especially to new players. For example the online casino gives new players 1,250 credits for free. These credits can be used by players for sixty minutes. They will be able to keep any winning that they have earned during that period. Players can also earn free credit through the loyalty program that is offered by Casino Action as a part of Casino Rewards group. This means that players can earn points while placing wagers on Casino Action or the rest of the casinos that belong to Casino Rewards. For every one hundred loyalty points, players will be awarded one dollar in casino chips. Before players can exchange the loyalty points, they will have to earn a minimum of one-thousand points. The depositing and withdrawal options supported by Casino Action include Skrill, NETeller, Instant Wire Transfer, Bank Transfer, Wire Card, Click2Pay, Maestro, American Express, Diners Club, Master Card and Visa among others. Casino Action guarantees the safety of the personal and banking details that are provided by players. The casino guarantees that no third party can access this information, not even casino employees who do not have clearance to do so. This allows visitors to have complete peace of mind while playing at Casino Action. If action means an assortment of slots, and plenty of bonuses and top notch customer support, then Casino Action really lives up to its name!